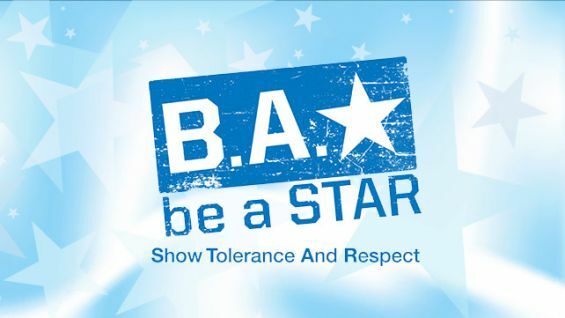 Every year, more than 100 kids from all over the world ask to attend a WWE event or meet a WWE Superstar via Make-A-Wish. With the excitement building for WrestleMania on Sunday at MetLife Stadium, 25 wish kids requested to be in attendance for the highly anticipated event. But just watching the action on Sunday is not enough. 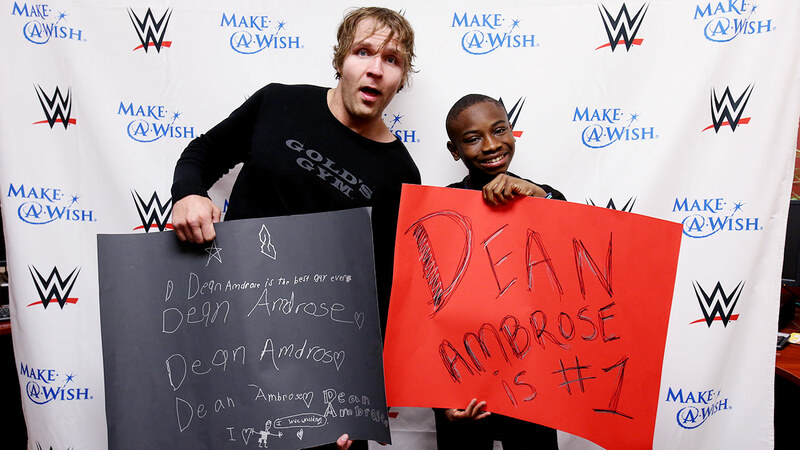 The wish kids and their families had a fun-filled weekend full of surprises on behalf of WWE and Make-A-Wish. 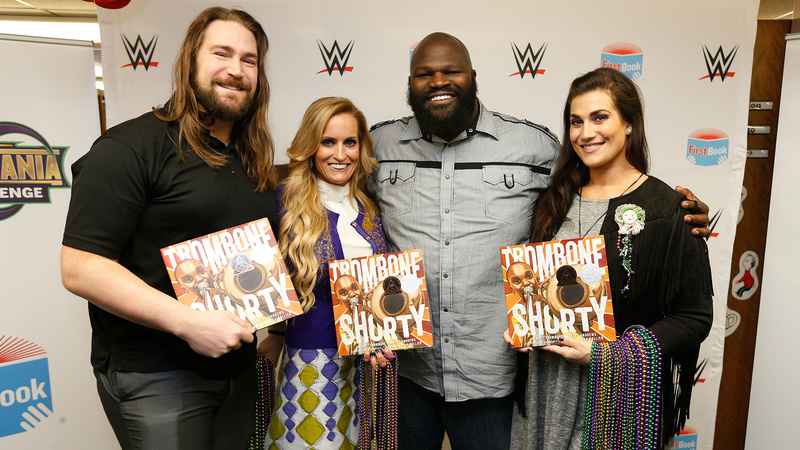 The festivities started Friday in Brooklyn, N.Y., with a private signing including Raw Women’s Champion Ronda Rousey, Braun Strowman, Mickie James and Dean Ambrose. 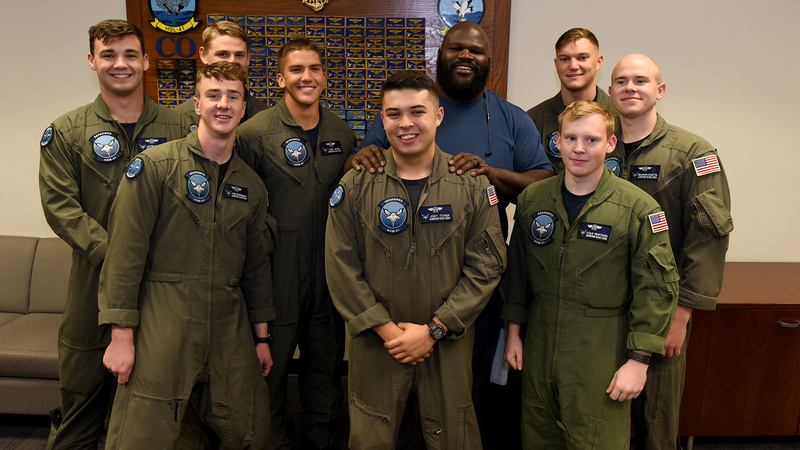 The children and their families received autographs from the Superstars — everything from posters to championships to a newborn’s baby blanket — and photos with four of their favorite competitors. On Saturday, the 25 families visited the National Geographic Encounter in Manhattan, N.Y., for a special luncheon with visits from more Superstars. Holly Thomas, Make-A-Wish Vice President of Corporate Alliances, kicked off the event by talking about WWE and Make-A-Wish’s more than three-decades-long partnership and the power of a wish. WWE Women’s Tag Team Champions Sasha Banks & Bayley, Sin Cara and Finn Bálor, whose arrival caused everyone in attendance to do his signature pose during his music, then joined the party. The four Superstars visited the wish kids and their families, chatting with each and every one of them, taking pictures and signing autographs. Banks, who granted her first wish in 2016, talked about the experience of getting to see so many smiles from wish children at the event and the overall wish-granting experience. After Balor, The Boss ’N’ Hug Connection and Sin Cara left, the wish families had one more surprise: John Cena! Cena thanked the children and their families for letting him join them at the event. He presented each child with a championship certificate to welcome them into the Circle of Champions. But Cena had a surprise waiting for him as well. 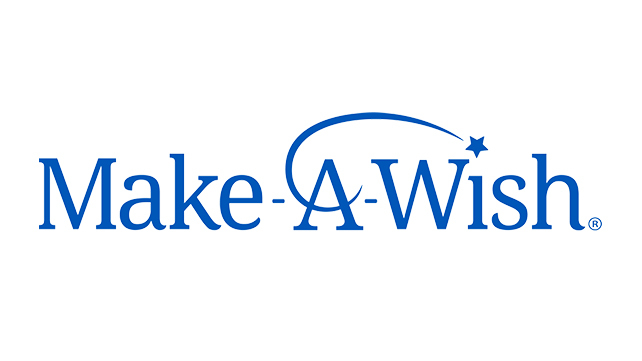 Make-A-Wish recognized him as the first celebrity wish-granter to grant 600 wishes. Cena’s contributions over the last 15 years have not stopped with granting wishes, though. The world-traveler has donated personal airplane miles, starred in last year’s PSA for World Wish Day and routinely advocates for Make-A-Wish in the media. Thomas called Cena an icon and role model for the 25 wish children in attendance. After a raucous “Cena!” chant, Thomas presented Cena with a glass star to commemorate the achievement. Taken aback, Cena thanked the families in the room for making that honor possible, and emphasized the goal of this weekend.